The best free data recovery software to recover deleted or lost files from your PC, hard drive, USB drive, SD card, mobile phone and other removable devices on Windows and Mac easily and quickly. Recover your files due to any file for free from accidental & permanent deletion, formation issues easily. Free Recoverit data recovery can also solve your data lost cased by virus attack quickly. Recoverit Free data recovery software can easily recover lost files in different device location. You can recover files from your emptied recycle bin on Windows and trash on Mac for free. Also, the free comprehensive recovery solution support internal drive and external devices recovery without troubles. 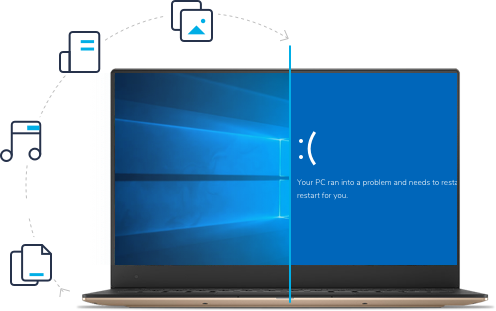 If you lost data from unexpected system crash, free Recoverit data recovery enable you to recover data from a crashed Windows and macOS operating system with advanced WinPE bootable media technology. 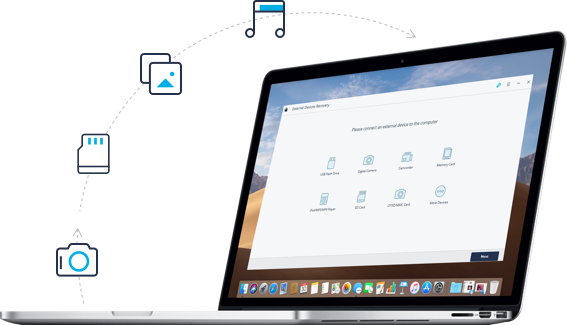 Recoverit data recovery locate all file types and formats such as document, photos, videos, audio, Email and other files and recover the files you need in 3 steps for free. More, the software helps you to filter all different file types for you to be more organized and easy to find. 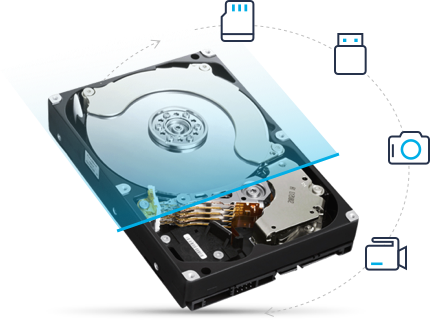 If your data file can be stored on it, Recoverit free data recovery can recover data from it on Windows and Mac. The software helps you to recover files on any lost disaster due to damaged or corrupted hard drive, lost partition, formatted disk and other storage media like camera Micro SD card, USB flash drive, mobile phone, external disk, etc. No matter how you lost your data files, we can get your data back in 3-step. Download and install Recoverit Free Data Recovery on your computer, select a data recovery scenario to get started. Recoverit Free Data Recovery will start scanning your computer or device to search your lost data files. After the scan, you can preview recovered files. Select the desired files which you want to restore and click 'Recover' button.